Editor’s note: Here’s a post specifically for the folks going to the Latinos in Social Media conference. I’ll be attending and writing some posts from there. The posts could include topics related to writing and Latino issues. This week, I’ll be in Houston attending the Latinos in Social Media conference or Latism for you folks in the know. I love that this conference will be in my hometown. Houston has lots to offer and I think it’s the perfect venue. For some of my fellow Latism-goers this will be their first time in Houston maybe even the Lone Star State. So, I’ve decided to write a short 101 on Houston to give people the skinny on the fourth largest city in the country. I hope my fellow Houston bloggers will pick up where I left off. Humid. Houston is humid all the time. All year long it feels like you stepped out of the shower. However, this weekend you’re in luck. The weather is going to be in the 70s which means it’s t-shirt weather. You won’t really need a sweater unless you’re indoors. Usually Houstonians don’t like the cold but our air conditioning stays on arctic. You’ve been warned. 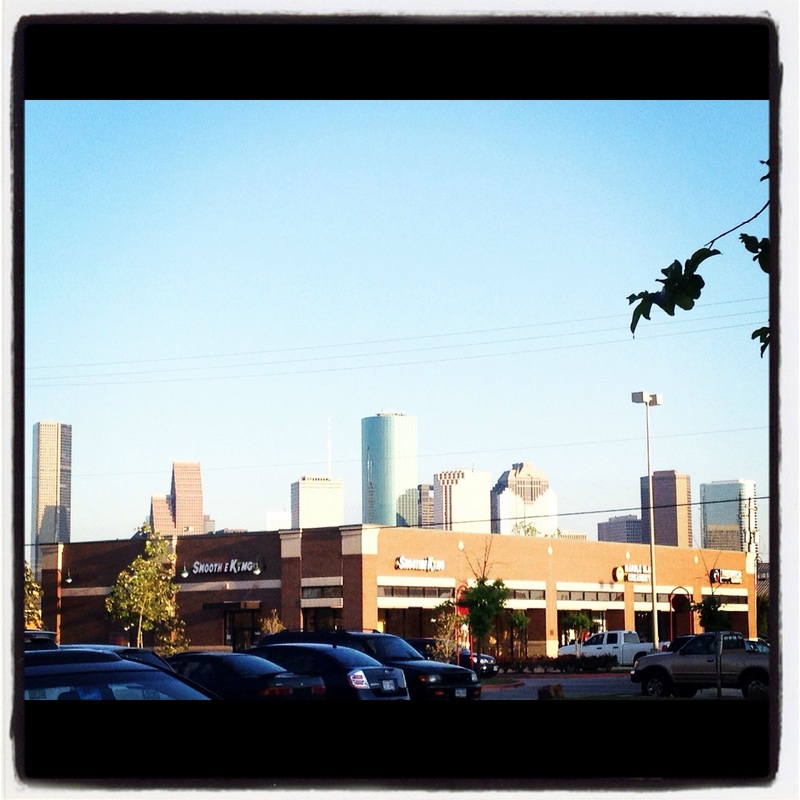 There are several types of food Houston does well. Mexican, Tex-Mex, Mex-Tex. Well, that last one isn’t a category, but the point is that we take our Tex-Mex food seriously. What’s a good restaurant recommendation? I always say that folks should eat at the original Ninfa’s on Navigation. Now there are several locations that were previously owned by the family but the original location is still in the heart of the second ward since 1973. (That makes it relatively close to downtown.) The restaurant use to be a house and still has that come-in-and-sit feel. Everything is made from scratch including the tortillas. With the weather being nice, I would recommend sitting outside and ordering a margarita. But make reservations and valet park. We’re also good at other foods like BBQ (that’s how we spell it) and whole bunch of other foods. But since the conference is at the Hyatt, might as well take advantage of the view. Now, I have yet to do this since it was constructed after I moved away but the MetroRail is only a few blocks from the convention site. Going from downtown where the University of Houston’s downtown campus is located to our famed Reliant Stadium (home of the Texans) the rail will take you anywhere you want to go along that route. What’s on the route? Our museum district, zoo, Rice University (beautiful campus), and Midtown. Now, the closest stop according to the map is a bit of a walk but if you want to take a break and see some of Houston and not drive (we’ve got horrible traffic) then here’s a way to do it. I’m not talking about money but the green of the trees. There are a couple of parks near and in downtown. Sam Houston Park is the closest to the conference site. It’s a great place to see some of Houston’s historic homes from nearly every era in Houston history (and we do have history). We’re really proud of Discovery Green, which is about a 15-20 minute walk (five minute cab ride) from the convention site. Walk straight down Lamar and you’ll see a park that is open with eclectic public art and just a great place to relax and watch Houston interact with nature in an urban setting. I am extremely excited to meet people at Latism 2012! I know by the agenda that I am not prepared and will be overwhelmed but I know it’ll be a lot of fun. If you see me around the convention, say hello! Want to see what I’m about to learn? Check this out!